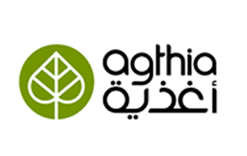 Agthia Group is a leading Abu Dhabi based food and beverage company. Established in 2004, the Company is listed on the Abu Dhabi Securities Exchange (ADX) and has the symbol “AGTHIA”. 51 percent of the Company’s shares are held by Senaat (General Holding Corporation), an Abu Dhabi Government entity, with the balance held by retail and institutional investors. We are the leading Abu Dhabi based food and beverage company. Established in the UAE in 2004 and listed on the Abu Dhabi Securities Exchange (ADX), the Agthia Group consists of a world-class portfolio of integrated businesses and brands. We provide high quality, trusted, and essential food and beverage products for customers and consumers across the UAE, GCC, Turkey and the wider Middle East.